Enchanted Castle on Pegasus base. 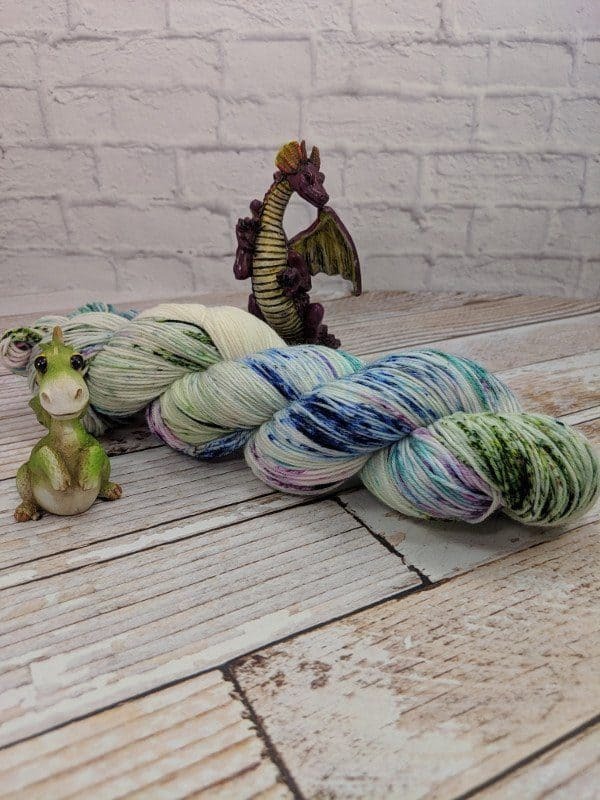 This yarn is fit for the royalty of an enchanted castle. 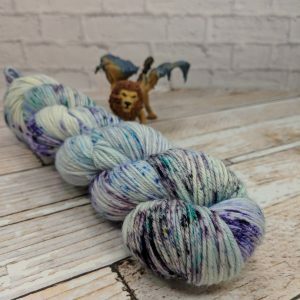 This yarn is dyed on my Pegasus base. Are you ready for a great ride? 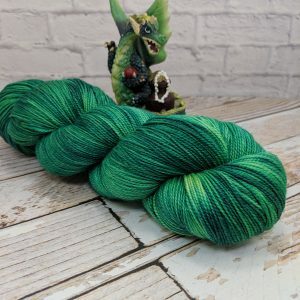 This yarn will always bring you a flying success! This colorway is speckled dyed. 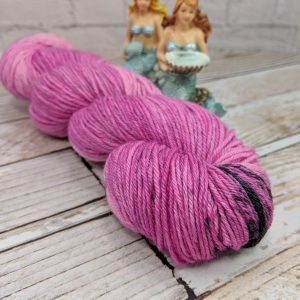 It’s a fun method where dry dye powder is applied directly to wet yarn. The size of the sections will vary based on the colorway. Many have large sections of undyed yarn. This means that most speckle dyed yarn will give you pops of color throughout your project. 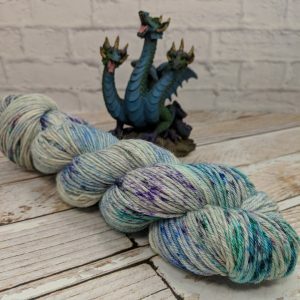 This listing is for one skein of yarn in the Enchanted Castle colorway, dyed on the Pegasus base. Though this yarn base can be washed by machine (cold water, gentle cycle), I always recommend hand washing your yarns & finished items for ultimate lasting quality. Use a gentle detergent or wool wash, then lay flat or pin to shape in order to block and dry the item. Treat this yarn right and you’ll get years of flying with it.